At long last I got to experience the 'Wood on a weekday. 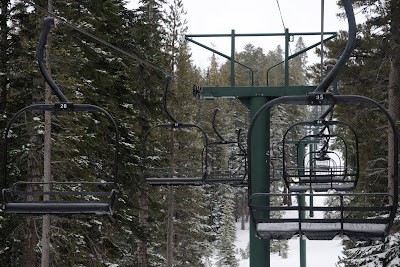 Not to my surprise, the lift lines were sparse and there was plenty of good snow to go around. It was a short day after the drive up from San Fran, but it's hard to beat Tuesday turns.